Home - Span Community House Inc.
Span Community House is a dynamic hub of community, learning, assistance, support and sustainability, in the heart of Thornbury, providing community development opportunities. We offer a diverse range of programs covering areas from digital literacy to art, health and wellbeing to gardening. We offer skill development, pathways to further study or employment, information sharing, support and assistance service, and activities for fun. What is the advantage of visiting and engaging with a local community organisation? Supporting Span supports the community. Activities are excellent value for money as fees are calculated to only cover costs. Tutors and facilitators are skilled and qualified, and class sizes are kept to a minimum allowing individual attention and support from tutors. Staff and volunteers at Span offer a comfortable, supportive, welcoming and friendly environment. Everyone is welcome. Our facilities are accessible for all. If you wish to enrol in a course or activity, meet other community members, require some support or assistance, then Span is the place for you. We look forward to welcoming you to Span. It’s your house! Come along and find out what services are available in your neighbourhood and join in an activity to find the support, relaxation or learning you need. Span may at times change class dates so that we achieve the minimum number of students. After checking our brochure, Facebook and the "What's On" section in the local newspaper we recommend calling us direct to enquire about the course that you are interested in. You can also refer to our What's On page for special events we offer. 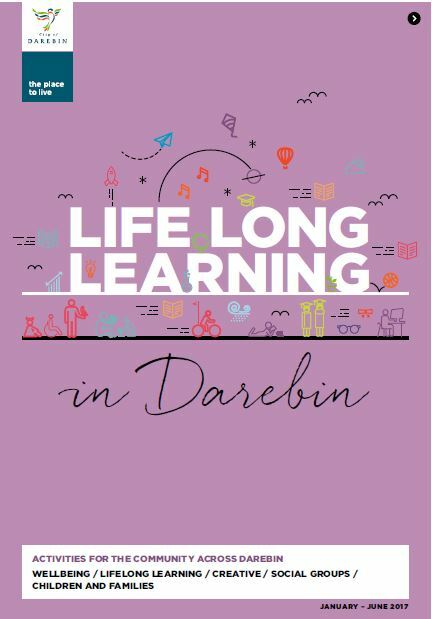 To download a copy of our Annual Report or the Semester 1 2019 Learning Activities and Support Program Brochure click on the images below. Span's 2018 Annual Report will be available when Span's AGM is held on 11 April. Span is part of the Darebin Neighbourhood House Network. The DNHN comprises of seven Houses that work together to deliver a diverse range of community programs and services.